Tire/road noise consists of noise due to tire surface vibration and noise related to aerodynamics. The former noise is usually explained by three elements, namely the external force applied to a tire, vibration properties of the tire and the acoustic field relating to the tire surface and road surface. The external force includes the tread impact associated with the lateral grooves and road roughness. 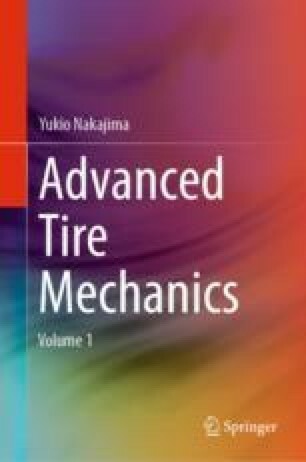 The surface vibration of a tire is calculated by multiplying external forces by the tire’s vibration properties expressed by a transfer function. 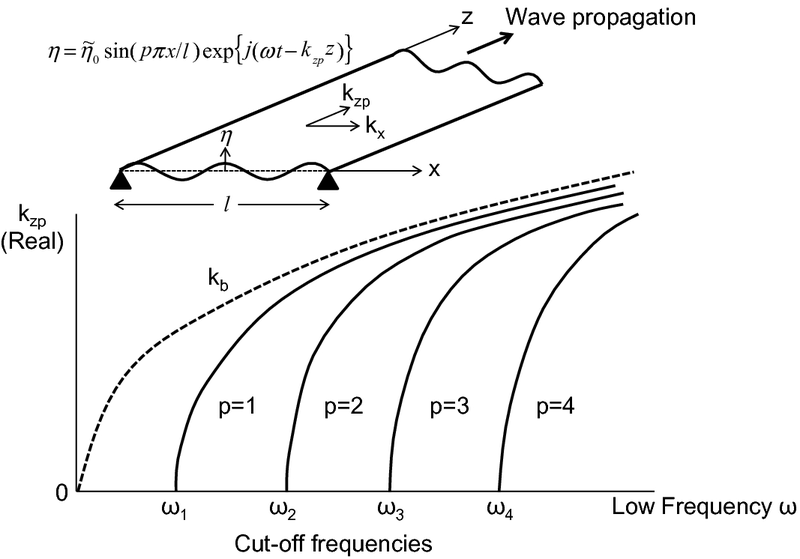 Tire/road radiation noise is then calculated by surface vibration via the Helmholtz equation [i.e., employing the boundary element method (BEM)]. The most important element for tire noise is the external force because other elements may not be controlled by tire design without deteriorating other tire performances. The external force due to lateral grooves is estimated by using a phenomenological model that uses the contact shape, pattern geometry and contact pressure or by conducting FEA. Meanwhile, the external force due to road roughness is estimated by measuring the spindle force of a tire rolling over a simple roughness and conducting contact analysis employing a Winker model with nonlinear contact stiffness or FEA. The vibration properties of a tire can be predicted by conducting FEA or using an elastic ring model. In pattern design, the phenomenological model is used as a design tool to determine the pattern geometry, and the pitch sequence is optimized by a GA. The Helmholtz resonator may be added to the circumferential grooves to reduce the pipe resonance noise. Furthermore, the special wheel or sound-absorbing material may be used to reduce the acoustic cavity noise. This relation is represented qualitatively in Fig. 10.120. Equation (10.130) shows that real (propagating) solutions exist for each value of p only at frequencies that satisfy the condition ω > (pπ/l)2(D/m)1/2. The frequencies at which kzp = 0 are resonance frequencies of a simply supported beam of length l, and they are known as the cutoff frequencies of the waveguide modes of order p. Below its cutoff frequencies, a mode cannot effectively propagate wave energy and its amplitude decays exponentially away from a point of excitation. At the modal cutoff frequencies, the modal phase velocities cph = ω/kzp are infinite and the modal group velocities cg = ∂ω/∂kzp are zero. Considering the relation p = ρcV, where V is the particle velocity, the volume velocity U is expressed by U = VS = Sp/(ρc). Equation (10.132) is applied recursively to calculate the ray amplitude for each reflection on the tire surface. 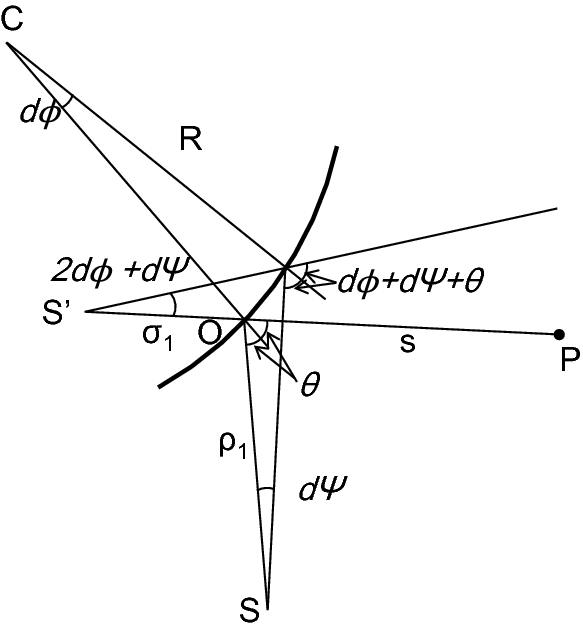 and eliminating dϕ/dψ, we obtain σ1 = ρ1R cos θ/(2ρ1 + R cos θ).